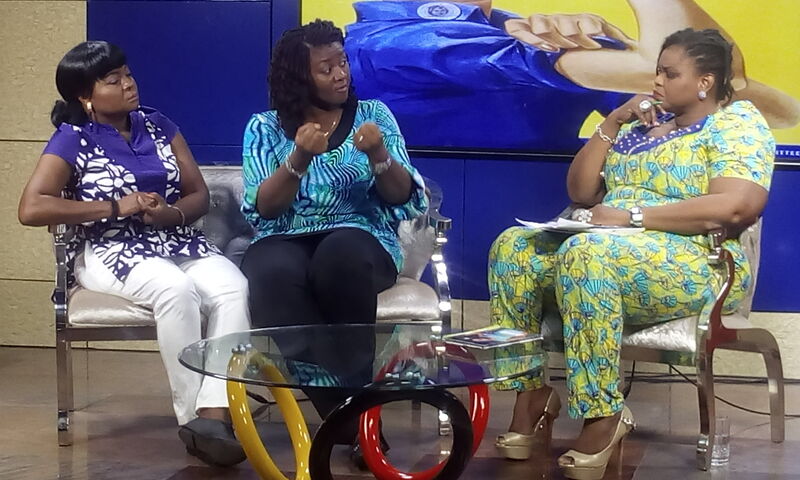 Spaces for Change’s Victoria Ohaeri was the special guest on Voices of Women show, aired live to millions of viewers on Galaxy TV, Lagos on November 3, 2015. She discussed how housing demolitions and forced evictions disproportionately impact on women and children. Drawing attention to the ever-increasing practice of forced evictions in Lagos State, more recently in Ijora Badia, she outlined the legal foundation for housing and land rights in Nigeria, including the procedural safeguards that should precede forced evictions as enunciated under the statutory laws in force in Nigeria. Victoria Ohaeri was accompanied to the programme by two evicted women from Ijora Badia: Mrs. Idiefo Ogunyemi and Mrs. Kemi Malomo. Since September 18, 2015, women and the children still take refuge under trees, open spaces and the debris of their former homes. Spaces for Change’s systematic study of the pattern of forced evictions reveals that it places a disproportionate burden on women and children. Evictions inflict serious dislocations on women and children, and destroys the traditional support networks which they rely on for their daily sustenance. If not forestalled, the demolitions will continue to render hundreds of thousands of families homeless, worsening the housing crisis in the country. Even so, victims of previous demolition exercises are yet to be relocated, rehabilitated, compensated or provided with legal remedies just as the goal of bridging the 21 million housing deficit needed to house them adequately remain unmet. PreviousPrevious post:Badia Forced Evictions: Marching Towards JusticeNextNext post:AFRICITIES VII: The time has come for Africa!